Jared High Suicide Memorial - Suicide.org! Jared High Suicide Memorial - Suicide.org! Jared High Suicide Memorial - Suicide.org! From the time Jared High was a toddler, he could climb just about anything in sight. Everyone who saw him was amazed at his tremendous strength, agility, and athletic ability. Jared would actually climb door frames using just his fingertips and toes. Brenda, Jared's mom, couldn't take her eyes off of little Jared for a minute, or he would be halfway up the side of a building! Jared was a smart, active, talented, handsome young man. He loved his family. He was active in his church. He was in the boy scouts. And he loved animals, of which he had many, including several cats and a wonderful dog named Bandit. On May 6, 1998, an incident occurred that would change Jared forever. Jared was brutally assaulted by a bully at school -- a bully that was twice Jared's size. Without any provocation, the bully mercilessly threw Jared up against walls, pushed him to the ground, and kicked, stomped, and punched him relentlessly. The beating lasted almost 10 minutes. The bully told Jared several times that he was going to kill him. Jared received numerous injuries from the attack. One of his doctors said that the spinal injuries were consistent with someone who had been in a serious automobile accident, and that he was fortunate that his back was not broken. Jared also sustained serious neck, shoulder, and hip injuries. And the emotional trauma was worse than the physical trauma. 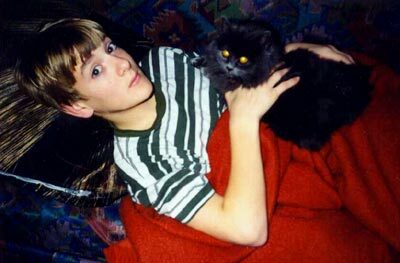 Jared became depressed because of the incident, and on September 29, 1998, Jared died by suicide. This is a poem Jared wrote. It is a poem about faith, and a poem about believing in yourself. wearing his baseball cap and holding his ball and bat. Then he tossed the ball into the air, swung and missed. "I'm the greatest player ever!" He swung at the ball again, and again he missed. "I'm the greatest baseball player who ever lived!" Then he swung the bat hard and again missed the ball. "Wow!" he said. "What a pitcher!" You are the greatest, Jared. You are an angel now. An excellent resource which offers help for parents and kids who are having problems with bullying. A wonderful website that is both a tribute to Jared and a resource center on suicide. Thank you for your wonderful sites Brenda. And thank you for your tireless work in preventing suicide, helping suicide survivors, and fighting the bullies of the world. You are the best, and I know that Jared is very proud of you.